The cities of the Golden Triangle – Delhi, Agra and Jaipur – boast some of India’s most famed landmarks and architectural marvels. 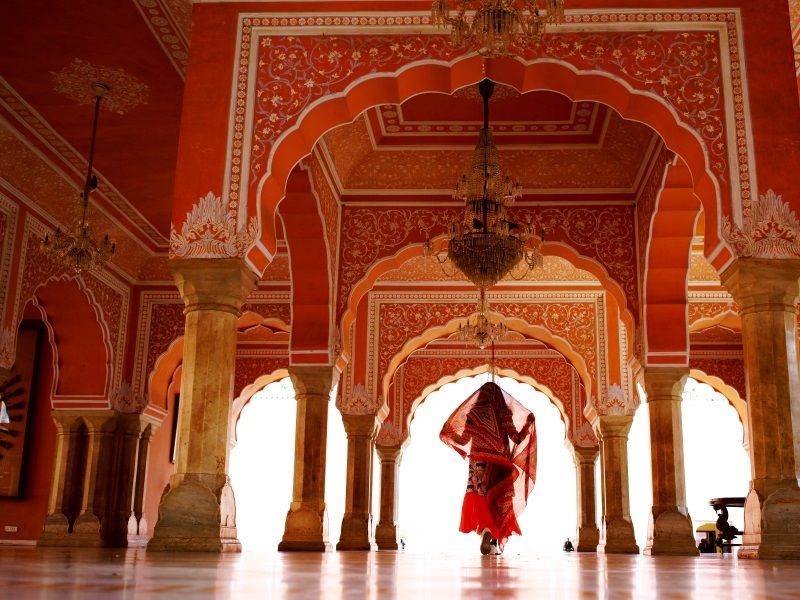 Travel with us on this 10-night break and experience the very best of what the subcontinent has to offer. Along your journey you will visit ancient palaces and monuments, proud fortresses, mosques and bustling cities. Take a rickshaw ride in Old Delhi’s bustling streets, and awaken your senses on a spicy kaleidoscope of colour and sound in its buzzing markets. In Agra, you will gaze in wonder at the most famous monument to love, the Taj Mahal*. You will visit the Amber Fort in the Pink City of Jaipur and, of course, have plenty of time at leisure to discover India at your own pace. Combining beautiful architecture, delicious food, friendly people and captivating culture, India’s Golden Triangle really does have it all. Dholpur Palace is one of the most beautiful and well preserved heritage hotels in Rajasthan.